MC on the Mic! 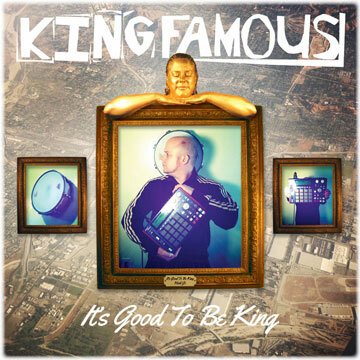 King Famous Live! Times Square, New York. I'm sitting in the basement of a store front on the block of West 42nd between 6th Avenue and Broadway. I've got a Backpacker guitar in my lap, and as I'm playing "Knights in Smiling Armor," I can hear the foot traffic on the street above me as it hustles by. Even being hidden from it, it is so overwhelming. I'm in the basement because I'm a resident artist here, and I was given some space to create theater, music - basically whatever I want. I've just returned from Japan, and I have a bunch of acoustic music to record. Living and sleeping on any corner of concrete I can find, the city and myself are getting to know each other. The city does not bend, sometimes it provides, and in the early hours of the night I find myself sneaking into theaters and studios to sleep. There are other artists scattered underneath the block as well, hidden beneath heaps of found objects, paintings and instruments. I had the expectation that all the artists in the group would talk to each other, and work on their projects in an open way. This doesn't seem to be the case and eventually I figured out that the studio I was assigned was growing mold, and there weren't too many rules or expectations for any production to happen. Some artists have spaces that they leave empty - the place is more of a glorified art storage closet then anything else. I Am The Classic grew out of being in a place of being inbetween. I was spending time in New Jersey and in Manhattan, while traveling back to Japan and even to Spain. Musically I was playing more actual music. Most venues did not want to hear rap so I always kept the guitar handy. No one has the power to stop me from telling these stories no matter how big or small the audience may be. It does not hurt to be able to carry a tune, and the guitar makes everyone comfortable. If you rap over a beat or over the strings of an instrument, you are still rapping. 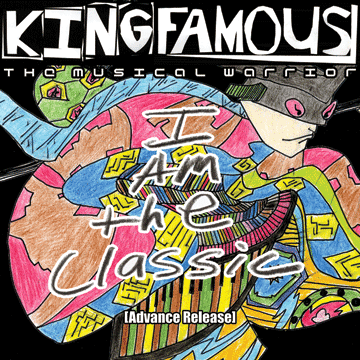 Many of the tracks for the rap portion of "I Am The Classic" album came from a mixtape of my original MPC 2000 tracks. The HCMF managed to digitize a cassette tape I had found. As the tracks came together, I saw that I had a true variety of songs which represented a traveler's life. 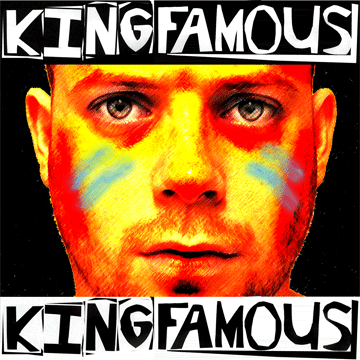 The album art of King Famous as a Kabuki warrior made sense. In New York, people had taken to calling me The Musical Warrior. And coming to a stop back on the East Coast, my music was playing catch up with me - I Am The Classic was the only title that fit. New and instantly timeless, the songs were my treasure unearthed by traversing the globe, listening and experiencing life as I knew it to be as it unfolded before me. It is good to be home, I have many stories to share. "I'm chasing the universe, and it is chasing me - This is an Advertisement for Real Life."